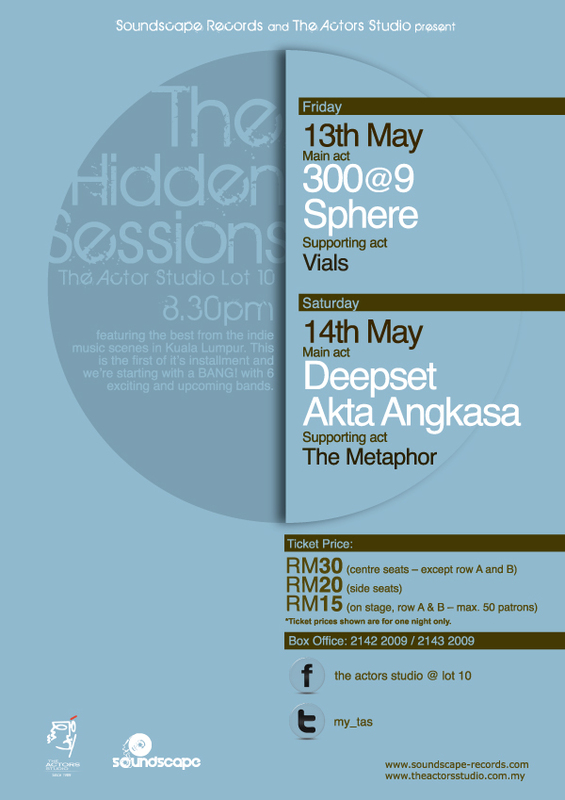 This coming 13th and 14th of May, Soundscape Records and The Actors Studio will be showcasing a new series of live events, The Hidden Sessions. The first installment will feature the likes of [email protected] (fronted by Fizul, ex-TWKUA / OAG), Sphere and Vials on the first night, and Deepset, Akta Angkasa and The Metaphor on Saturday. Since closing their doors in Bangsar’s elite shopping mall in BSC (late 2008), The Actors Studio re-opened it’s curtains in another ‘highbrow’ venue on the rooftop of Lot 10 on the same year, neighboring itself to Rootz Club. 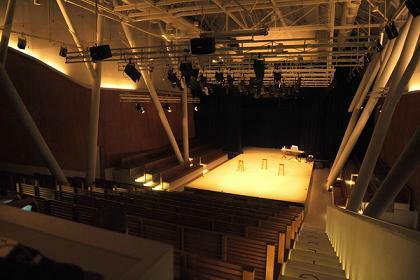 The 250-seater theatre would be an interesting venue for this sort of live music events, with it’s intimate feel and good acoustics (after all, it is meant for the performing arts).